Dolphin robotic pool cleaners by Maytronics deliver automated, high-performance pool cleaning – efficiently and effectively. 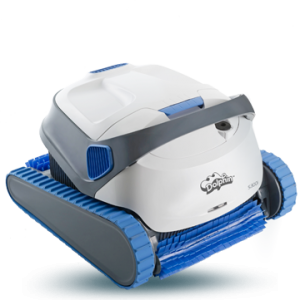 Building on decades of expertise in automatic pool cleaners, every Dolphin combines advanced technologies with proven reliability so you can enjoy a constantly clean pool with little effort. Dolphin robots have consistently been at the forefront of innovation. As pool owners’ needs change, new technologies and models that address new segments are added to the Dolphin line. We also provide a try before you buy- try any Dolphin Cleaner for $45.00 a day. If you decide to buy it, we will credit the $45.00 towards your Dolphin Cleaner. Give us a call for details. 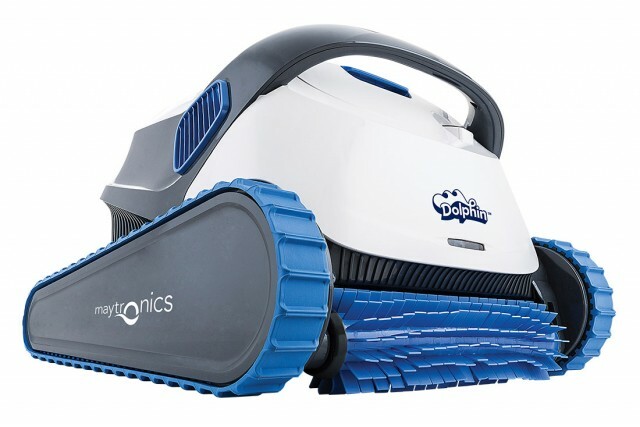 Add more convenience to your pool cleaning with this mid-level robot. Enjoy all the basic capabilities, along with advanced features such as multi-layer filtration. With options available on the multifunction power supply you can choose regular cleaning mode for a full clean in two hours, or fast mode for efficient cleaning in half the time. Advance to a new pool cleaning experience with this top-of-the-line robot that brings even more ease and freedom to the advanced capabilities of Dolphin S robots. Control your Dolphin S 300i through the multi-function power supply or use the MyDolphin app on your smartphone or tablet to set up cleaning programs and control the robot remotely, including manual navigation. The blinking LED on the robot indicates the active mode. 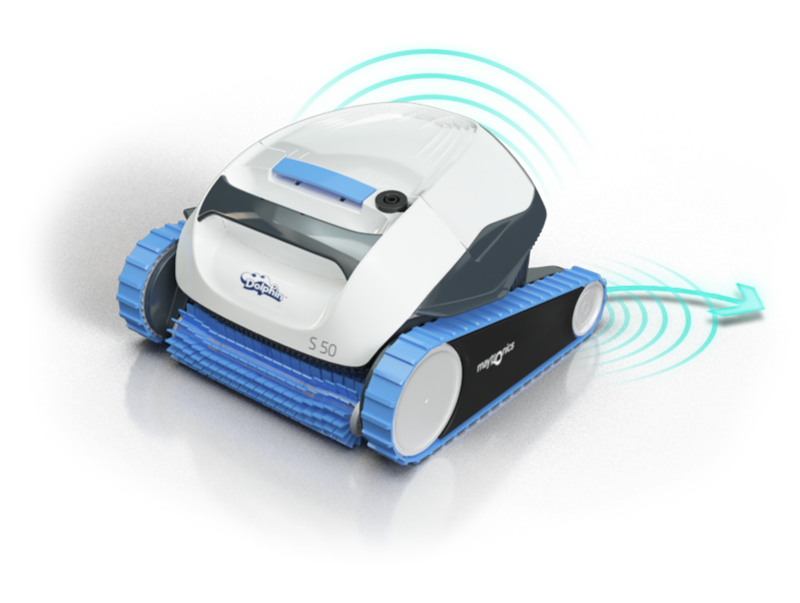 Dolphin S 50 is the introductory robot by Maytronics – bringing you all the benefits of more than 30 years of experience in robotic pool cleaning. All swim, no work. That’s the life for you – with the Dolphin S 50 robotic pool cleaner. 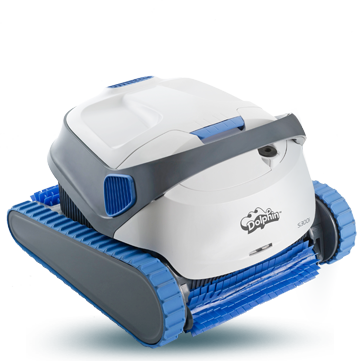 Forget about scrubbing the floor and scooping out leaves and dirt – the Dolphin 550 does it all for you, automatically. lt leaves your pool floor clean of dirt and leaves, and the pool water sparkling clean, ready for fun whenever you are.